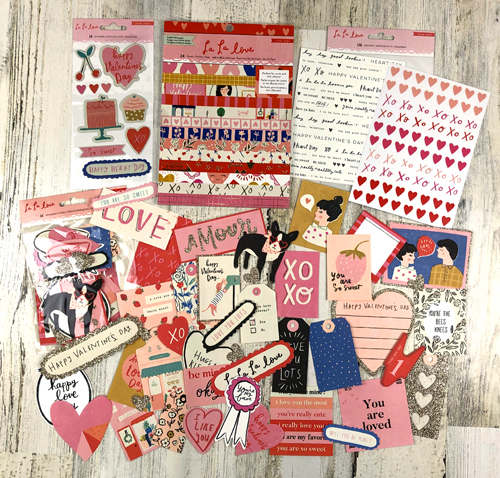 Today’s Peachy deal is a Crate Paper La La Love Kit. it includes a 6″ x 8″ paper pad with 24 sheets of paper featuring florals, hearts, cutouts and more. Also included is a set of ephemera with 44 die cut cardstock pieces with glitter accents, 2 sheets of 128 phrase stickers featuring phrases such as “you’re really really cute,” “hey hey good lookin’!” and icons. Also a set of Puffy Stickers with Embossed Accents with 10 assorted embossed puffy stickers.